Royal Mail are set to release some new stamps celebrating 50 years of the Royal Shakespeare Company, one of them features 10th Doctor, David Tenannt. 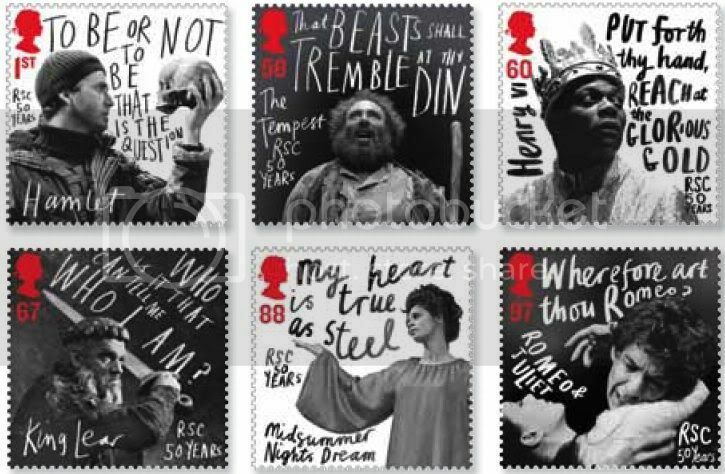 The stamps will feature The Tempest, Henry VI, King Lear, A Midsummer’s Night Dream or Romeo and Juliet and Hamlet, which is the one that Tennant features on. The stamps are due to be released on 12th April 2011, and the 1st Class Stamp will cost 46p at time of release.